The latest South of the Border cruise featured 154 entries. CABO SAN LUCAS, Mexico — The large contingent of cruisers navigating the Baja California coast finally completed one of the most popular West Coast events of the year, with the Baja HaHa Rally officially in the books. Cruisers left San Diego in late October and made their respective ways down to Cabo San Lucas, where participants arrived, Nov. 11. The left San Diego on Oct. 29 and arrived at Turtle Bay a few days later; Bahia Santa Maria and Cabo San Lucas were also on the itinerary. This year’s Baja HaHa featured 154 entries, with a majority of cruisers from California or the West Coast. Other entries hailed from Alaska, Hawai’i, Nevada, Virginia, Arizona, Ohio, Illinois, New Mexico, South Carolina, New Jersey, Minnesota, Alabama, Canada, Mexico, Switzerland, Germany and The Philippines. One of the rally’s highlights was a “Where’s Poobah?” game, according to a report published on Latitude 38’s website; Latitude 38 is the organizing body of the annual Baja HaHa. The game was essentially a “Where’s Waldo?” contest, where cruisers had to spot “Poobah” – an individual wearing a flourescent orange t-shirt. Baja HaHa, of course, is also noted for hosting several parties at its stop locations, including the finale at Cabo San Lucas. The end of Baja HaHa, also, isn’t necessarily the end for some of the participants. Cabo San Lucas becomes a jumping off point to the Sea of Cortez or Pacific Ocean destinations. 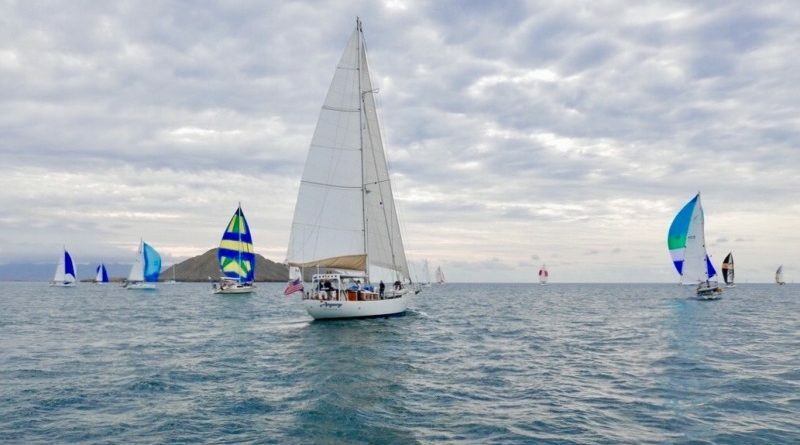 Boats participating in this year’s rally from Southern California included Jacquot Bateau, Day Dream, Matador, Madison3, Aeolos, Pure Grace, Dances With Winds, Sea Glass, Zoa, Green Flash, Alianza, Feleena, Firefly, True Love, La Cuna, Lanikai, Mai Tai, La Meriposa, Linda Marie, SweePea, Prana, Fellowship. Voyager, Angantyr, Sea Witch, Bonzer, Wilson, Sun Dance, Lahaina Roads, Hot Stuff, Silk Purse, Bellavia, Blessings, Pair A Dox, Mr. Beefy, Dolce and Big Moe. Latitude 38 founded Baja HaHa in 1994.